Some dogs seem to think everything belongs in their mouth, and eating rocks is more common than one might think. Though, it isn’t a healthy or safe behavior. Your dog may be eating rocks because of boredom, anxiety, or frustration. In these cases, munching on rocks can be a way to get attention. This type of rock-eater usually benefits from increased exercise and play time. Puzzle games are great, because it’s easier to make a dog mentally tired than physically tired. There may also be an underlying medical issue. 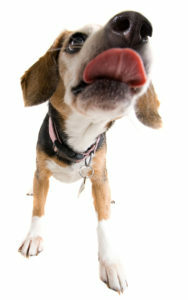 Some dogs chew rocks because of a nutritional deficiency, diabetes, or an intestinal disorder. It’s a good idea to consult a veterinarian to rule out medical conditions. Biting and chewing on rocks can damage your dog’s teeth and mouth. Eating them can cause choking, upset stomach, and even an intestinal blockage, so try to figure out why rocks seem so appealing and prevent your dog from eating them.